The month’s salary burning in your pockets? Itching to get gifts for friends and family? Curious to find the very best stores, bookshops and markets in Washington DC? Is browsing your number one hobby? We understand, and so do our locals, who have their own favorite hidden gems, top picks for when nothing but a bit of window (or actual) shopping will do the trick. Check out their recommended local shops and never fall in a tourist trap again. “Adams Morgan Farmers Market” in Washington DC is a smaller market with a lot of life & a unique local vibe. Make a picnic w/ some fruit, cheese & bread! “City Center” is an amazing space downtown in Washington DC. You could describe it as a commercial park/ large open shopping center, but it’s so much more. “Dupont Circle Farmers Market” is where I go in Washington DC to spend a fun Sunday morning. I recommend you get some coffee, walk around & take it all in. “Eastern Market” is a Washington DC institution. It’s a great spot to go on the weekends for shopping – lots of fresh food, arts & craft, clothing & more. 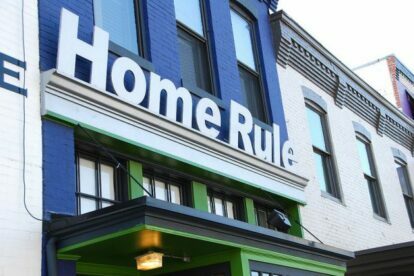 “Home Rule” is a cool store in Washington DC. I love this shop because it’s packed with brilliantly designed products for the home – nothing boring here!